The CMKR/CMKRW series of dc/dc chassis mount converters has a wide input voltage range of 2:1 and 4:1 and a single output. This series also has triple output protection including over load, over voltage, and current limiting which makes the CMKR/KRW series an ideal choice for a variety of commercial applications. Chassis mounts come in open frame, U channel, and enclosed types. 2. The ON/OFF control pin voltage is referenced to -Vin. 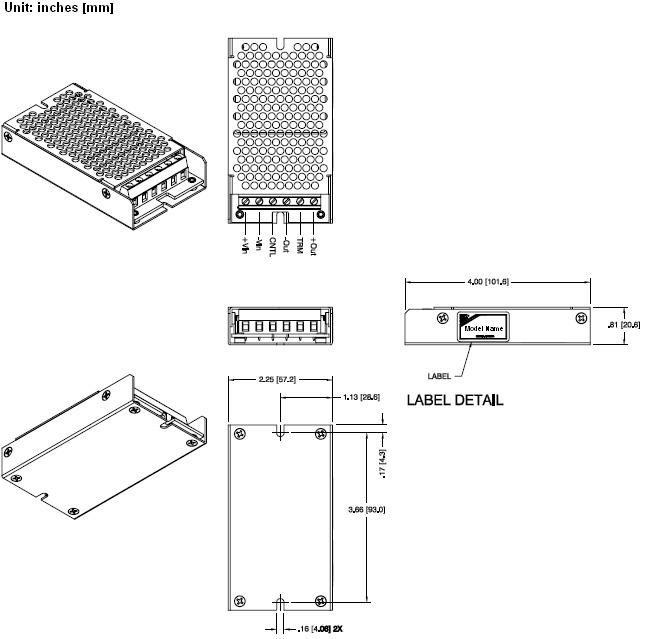 To order positive logic ON-OFF control add the suffix "P" (Ex: CMKR48S5-1000P). To order negative logic ON-OFF control add the suffix "R" (Ex: CMKR48S5-1000R). 3. The industrial "I" suffix for the 2:1 input version is more efficient; therefore, it can be operated in a more extensive temperature range than "standard" and "I" suffix 4:1 input versions. 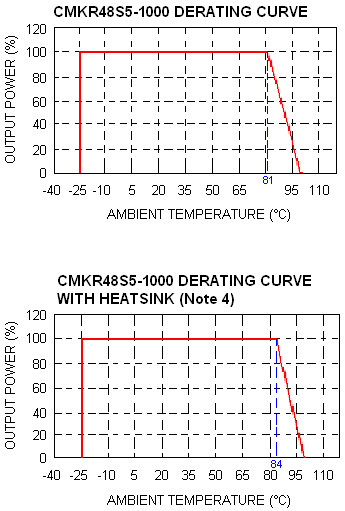 To order industrial temperature range (-40°C ~ +85°C) add the suffix "I" to the part number (Ex: CMKR48S5-1000I).